By 1900, European empires had come to encompass the majority of the globe. As a result, European states were engaged in a nearly continuous series of smaller and larger colonial wars overseas, wars which were marked by often extreme forms of violence which widely transgressed the accepted rules and laws of European warfare. Scholars have often tried to explain the extremely violent character of these wars, pointing among others to military-tactical constraints, the legal environment, racial thought, imperial anxiety and even large structural developments as possible explanations. However, what these studies largely neglected is that the practice of extreme colonial violence also relied on the fact that its actors extensively acquired, processed and diffused knowledge on the specific forms and legitimisations of transgressive violence in colonial warfare, and that these forms of violence in the end also needed to be ‘learned’ by practice itself. In analysing these processes, I strive to show that one explanation of extreme violence in colonial warfare is that its perpetrators had, in manifold ways, come to learn about it. These learning processes often crossed the borders of empires. Extreme violence in colonial warfare was a very international phenomenon: authors of books on the subject looked extensively to other empires to learn, and many actors in the colonies moved between several empires. Therefore, my work will adopt a trans-imperial approach, and as such also contribute to the ongoing discussions on imperial cooperation and transfer. It does so with an attentive eye to the often complex nature of such exchanges, to the existence of smaller national particularities, and to the different localities and temporalities of imperial learning, as empires frequently came to learn very similar “lessons” in different times and places. My study of the production, acquisition and diffusion of knowledge on extreme violence focuses on two levels. Firstly, I look at military institutions and official or unofficial publications, to ascertain whether and how information on extreme violence was transmitted in European military training and in literature on the subject. Here, I also investigate whether one can see learning processes at work in this material: are new lessons on colonial violence added over time, and in which manner? Secondly, I zoom in on the actors themselves, the colonial soldiers ‘on the ground’ in specific colonies. I depart here from five important colonial wars: the wars of the British Empire in Rhodesia and Sierra Leone 1896-7 and 1898, the colonial wars in German South West and German East Africa 1904-1908 and 1905-1907, and the Aceh War in the Dutch East Indies 1871-1904. These case studies serve to examine in more detail the diversity of bodies of knowledge that often came together in such wars. Colonial spaces frequently saw the juxtaposition of disparate actors with widely varying backgrounds, who often brought with them specific experiences and knowledge gained from colonial wars in other colonies and empires. Furthermore, the important influence of indigenous actors on the processes of knowledge formation and acquisition by Europeans needs to be considered as well. Zooming in even further on the actors of colonial warfare, as a last step I will look at how European individuals learned the practice of extreme violence itself. I look here at the existence of a social environment conducive to engaging in extreme violence, as well as at individuals’ first encounters with violence in the colonial sphere, processes of adaptation and normalisation, and soldiers’ motivations, justifications and self-images. 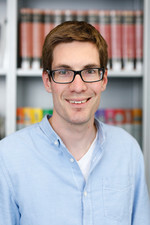 Tom Menger (1991) studied European Studies and History at the University of Amsterdam and graduated with a Research Master in History in 2016. His master thesis ‘The origins of colonial violence: The perpetrator’s view. A study on colonial soldiers and their ego-documents in German East Africa, 1890-1908’ was awarded the Otto von der Gablentz Thesis Prize in 2017. During his studies, he was a research intern in the project ‘Dutch military operations in Indonesia, 1945-1950’ of the KITLV (Royal Netherlands Institute for Southeast Asian and Caribbean Studies) and a guest student at Freiburg University in the winter semester 2015/2016. He also gained NGO experience as secretary and coordinator of several committees of an Amnesty International student group in Amsterdam. In 2017, he was awarded a two-month grant by the German Institute of Amsterdam (DIA) to prepare a doctoral project in Cologne. As of April 2017, he is an a.r.t.e.s. EUmanities fellow. In 2018, as part of his mobility phase, he spent twelve months in London as an associate PhD at Queen Mary University. His doctoral project is supervised by Prof. Ulrike Lindner. ‘Review of: Stefan Ihrig, Justifying genocide: Germany and the Armenians from Bismarck to Hitler’, Skript Historisch Tijdschrift 39 (2017) 85–87. ‘Dekolonisatie als keuzeproces. Review of: Martin Thomas, Fight or flight. Britain, France, and their roads from Empire’, Tijdschrift voor Geschiedenis 129 (2016) 683–685. ‘Practices of comparing in British and German manuals of colonial warfare around 1900’, 30 November 2018, paper given at the workshop ‘Comparing Militaries in the Long Nineteenth Century’, University of Bielefeld. ‘“Not very uplifting work”. German officers first encountering and practising colonial violence in East Africa, c. 1890-1907’, 11 September 2018, paper given at the workshop ‘Exploring the (post)colonial encounter. Performance, language, and violence’, co-organised by the University of Southampton and German Historical Institute London, University of Southampton, United Kingdom. 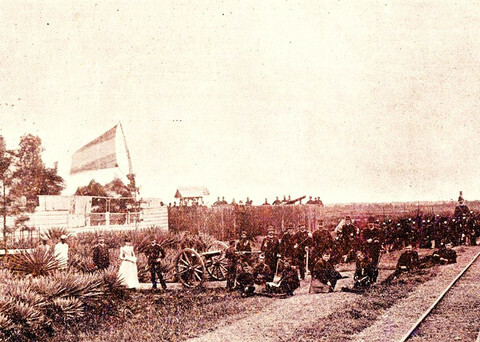 ‘Learning processes of extreme violence in colonial warfare in the British, German and Dutch Empires, c. 1890-1914’, 8 June 2018, project presentation at the GRAINES summer school, Sciences Po Reims. ‘“Räuber, Mörder, Brandstifter, Saatenvernichter und Sklavenhändler (...)”. Daders van Duits koloniaal geweld in Oost-Afrika 1890-1908 [Perpetrators of German colonial violence in East Africa 1890-1908]’, 11 October 2017, presentation given at the DIA/Jonge Historici anthology ‘Duitsland in de wereld [Germany in the world]’, SPUI25, Amsterdam, The Netherlands. ‘Junior colonial officers in German East Africa as pawns and producers of imperial space and imperial circulations, c. 1890-1914’, 22 November 2017, presentation given at the workshop ‘The production of imperial space. Empire and circulations’, Centre d’histoire de Sciences Po, Paris, France. 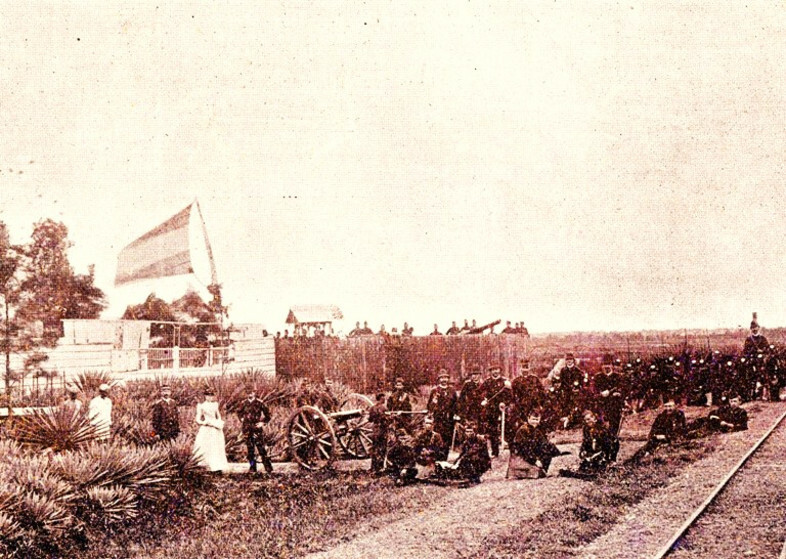 ‘Extreme violence in colonial warfare: a study of European perpetrators in East Africa, Rhodesia and the East Indies, c. 1890-1914’, 7 September 2017, annual conference of the International Commission of Military History, Douala, Cameroon.